Joan and I were on Lakeshore Avenue, the street in Oakland where we were working at a tennis magazine. We were on our way to lunch for the first time. Two months later, we were in love – and I began to learn even more about what it meant to care for and engage with someone who had lupus. “I don’t feel well,” she would say. That statement might mean that we’d have to choose between a meal or a movie, that trip would have to be curtailed or even cancelled, or worse, that it was necessary to call the doctor immediately and often, that we needed to head straight to the hospital. “What can I do? How can I help?” I would often ask. Problem-solving is so pervasive in our society. The leak in the bathroom. The car. Refinance the mortgage. See the problem. Fix it. See another problem. Fix it. But lupus doesn’t work that way. Here is what Joan told me very early on that set the tone for our 28 years together: Don’t try to solve this problem. What makes you think you know more than the entire medical community that is mystified by this illness? We had left the realm of problem-solving. Fix was out. Listen was in. Just listen. That’s all. Communication is what defined our journey through lupus – talk, listen, all flavored by our own brand of humor. We had both long been smart-alecks, each of us that kid in the classroom who said “What?” when the teacher announced the upcoming hearing test. Maybe she was on to something. For throughout our entire time together, we lived smack dab on the Hayward Fault, where it’s often said there’s a chance a significant earthquake will occur. The fault line hovering around lupus is the awareness that to live and love someone who has a chronic illness is to occupy a much more intimate realm of ambiguity and doubt. The question isn’t if bad things will happen. Bad things will happen. It’s only a question of what shape they take, how much impact they have and how you will face them together. Yes, living with lupus is a form of living on a fault line. In the summer of 2010, Joan was struck with an infection that made it impossible for her to walk. First she was in a hospital for six weeks hooked up to an IV filled with antibiotics. Then she was transferred to a skilled nursing facility, where for 30 minutes a day she had physical therapy. No one laughed, but that hardly mattered. “Of course I knew no one would get the joke,” Joan said to me later that day, “but that didn’t matter, because I knew I would be able to tell you.” I knew I would be able to tell you. That kind of personal connection was the centerpiece of our journey through lupus. It is a part of you, but it is not who you are. And I think that is why Joan was always so clear about defining the boundaries in our relationship with each other and, yes, our relationship with lupus and the fault line occupied by anyone who suffers from it. Help others living with lupus by making a donation today! Joan Edwards died on September 2, 2010. 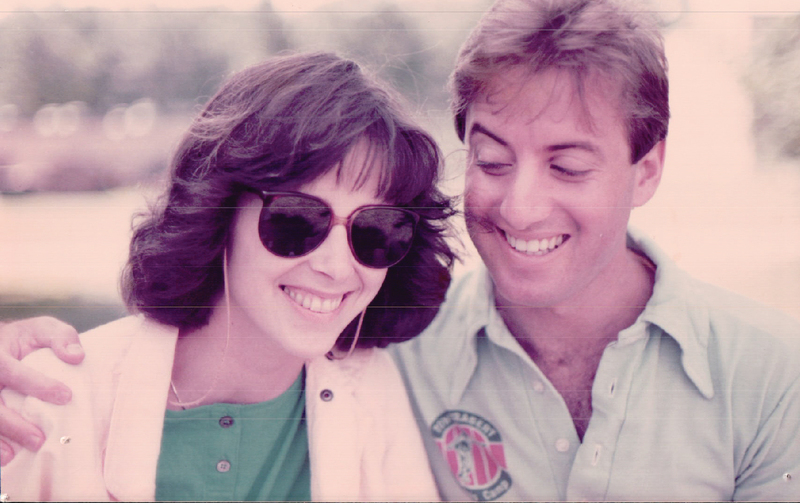 Her widower, Joel Drucker, has written “Don’t Bet on It,” a memoir of their 28 years together. The book was published in February 2017 and is available as an Amazon Kindle Single. Oakland-based Joel Drucker is the widower of Joan Edwards. Joan was diagnosed with lupus in 1981. She and Joel met a year later and were together for 28 years, until her death in 2010. Drucker has written two books: “Jimmy Connors Saved My Life” (2004), and, in February 2017, “Don’t Bet on It,” a portrait of his time with Joan. Drucker has written most extensively about tennis and is one of the world’s leading tennis writers. In August 2016, he was named a historian-at-large by the International Tennis Hall of Fame. In the broadcast realm, Drucker has worked with Tennis Channel since the network first started to air in 2003.